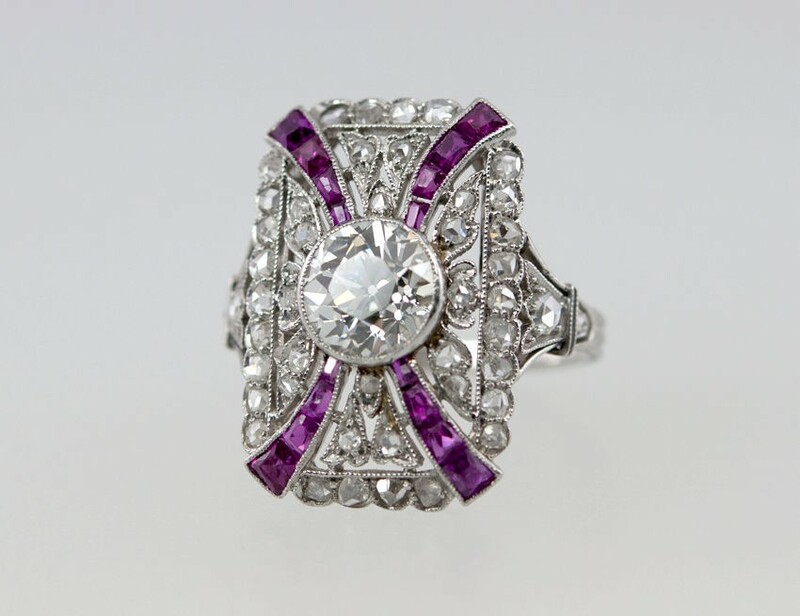 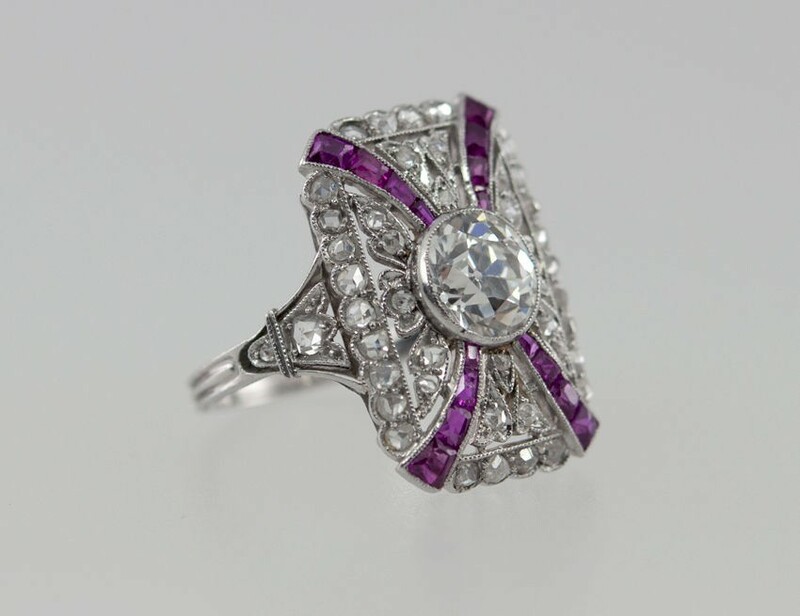 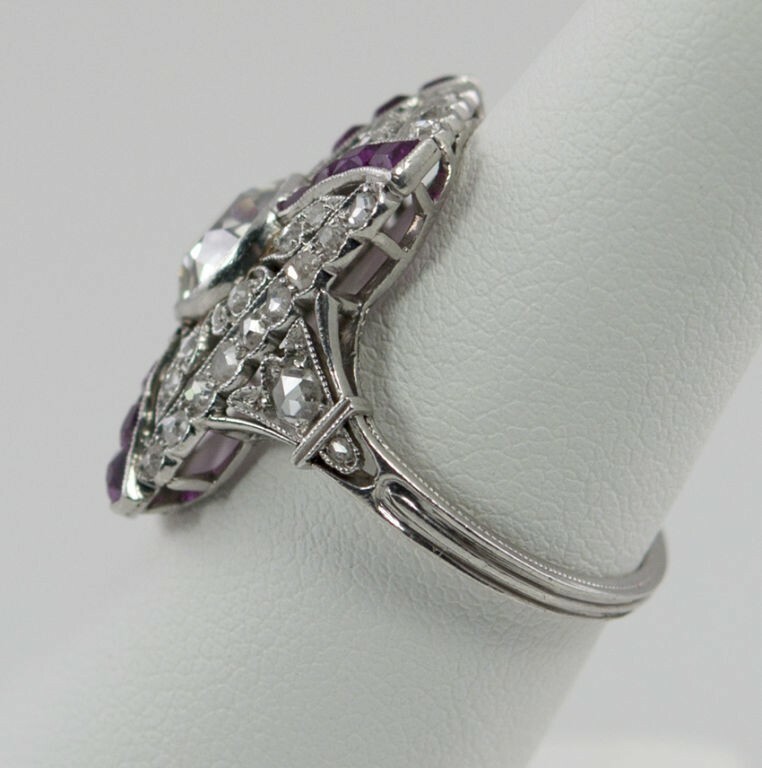 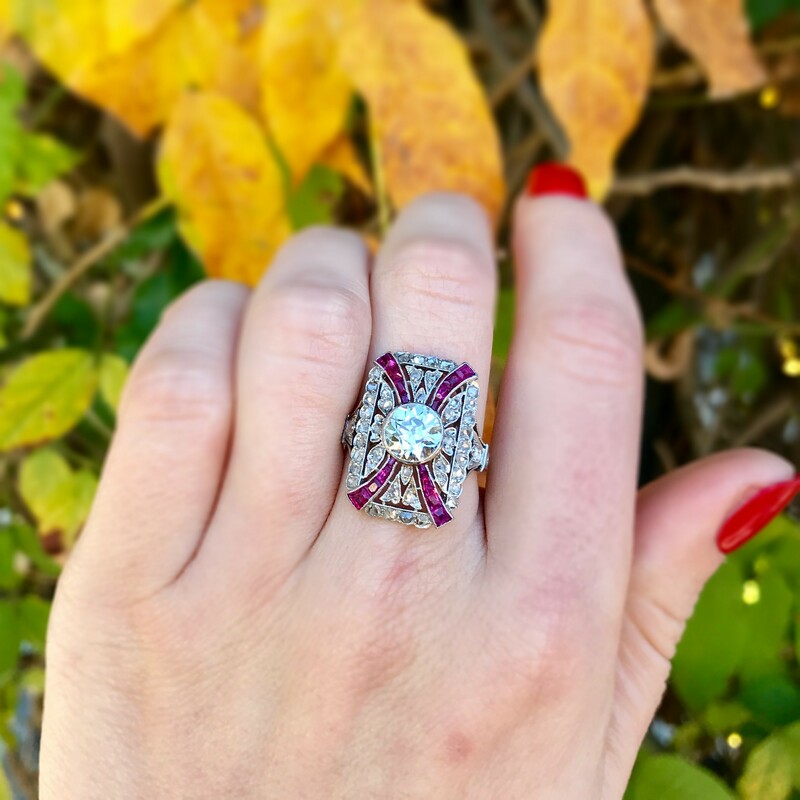 A stunning antique Edwardian diamond and ruby ring from circa 1910. 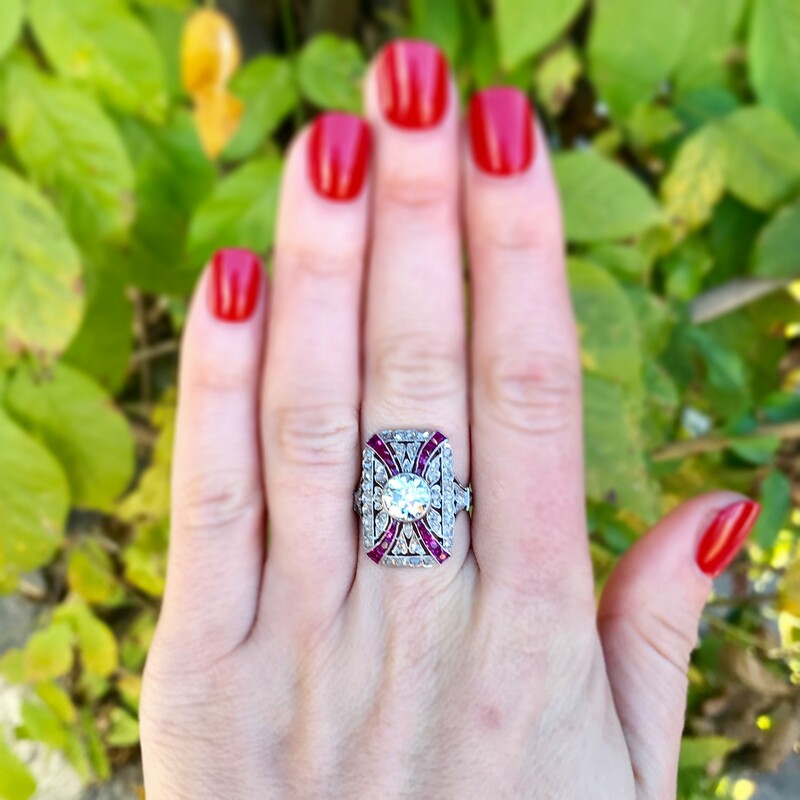 This large platinum ring is studded with rose cut diamonds and four channels of rubies leading to a bezel set Old European Cut center diamond approximately 1.75 carats that is J in color and VS1 in clarity. 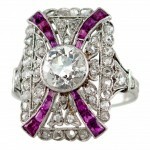 Makes an incredible engagement ring or right-hand ring! 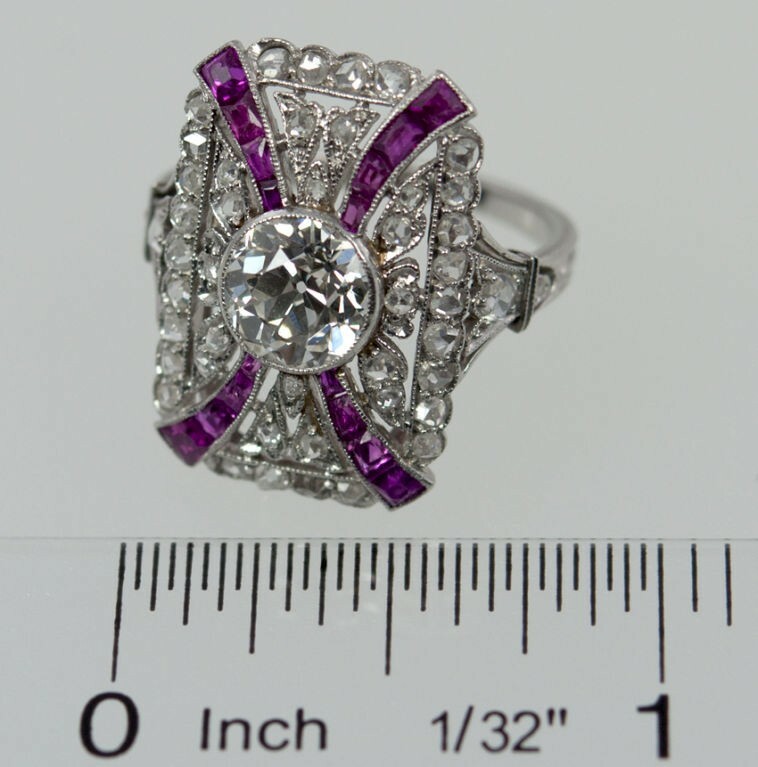 Currently a US size 7. 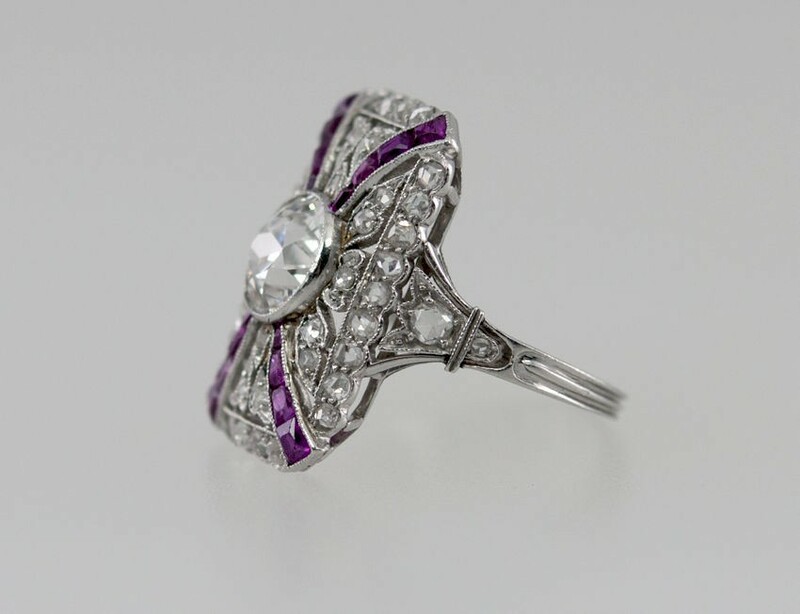 This ring measures approximately 0.87 inches in height (measuring the front face of the ring), 0.82 inches in weight (measuring the entire width of the ring), and 0.27 inches in depth (measuring from when on the finger to the top of the diamond).